February 2, 1985: The pioneer members Frs. Jose Kaimlett, Thomas, Alenchery, Mathew Kallikatt, K.V. Augustine & Bros. Thomas Karachira and Jose Oonnukallel made their final commitment to Society in the presence of Bishop John in his private chapel. February 2, 1985: Rev. Fr. Jose Kaimlett, elected the first Director General in the election conducted in Bishop’s office. June 25, 1985: The Heralds of Good News Minor Seminary, blessed and inaugurated. The course starts with 28 students and Fr. Thomas Alanchery as its First Rector. July 2, 1988: St. Mary’s English Medium School, Prathipadau, T.P. Gudem opened. June 12, 1989: St. Josephs School at Yernagudem starts functioning. January 4, 1990: Heralds College, Janampet, the study house for the major seminarians opened and blessed by Rt. Rev. 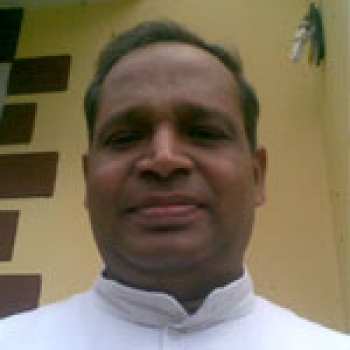 Dr. John Mulagada, Bishop of Eluru. December 26, 1990: The First General Assembly of the Society. Fr. Jose Kaimlett re-elected Director General and Fr. Mathew Kallikatt the Assistant Director General, Frs. Thomas Alancherry and P. Thomas elected Councillors and Fr. Thomas Karachira the procurator. 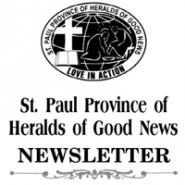 May 5, 1991: The Heralds of Good News erected as a Missionary Society of Apostolic life of the diocesan Right. December 27, 1991: Good News Press blessed and opened by Bishop M. John. June 27, 1992: Inauguration of Heralds Minor Seminary, Pinakadimi. May 15, 1993: Aswaraopet mission in the diocese of Khammam opened. June 6, 1993: Heralds College at Poonamallee, Madras blessed and inaugurated. December 29, 1993: Ordination of the First Batch of Students. January 25, 1994: The second General Assembly begins at Heralds College, Janampet. Fr. Jose Kaimlett resigns as the Director General. Fr. Chacko Puthumayil is elected as Director General and Fr. Mathew Kallikatt as Assistant Director General and procurator, Frs. P. Thomas, Cherian Pullambrayil and Rev. Mathew Panackal the Councilors. Fr. Jose Kaimlett was given the title ‘Superior General’. March 18, 1994: The foundation for the Generalate at Thangellamudi laid by Bishop M. John. June 10, 1994: Foundation for the Heralds Philosophate at Khammam blessed and laid by Rt. Rev. Dr. Marampudi Joji, Bishop of Khammam. June 12, 1994: Blessing and inauguration of the seminary at Melavalady, Trichy by Rt. Rev. Dr. Peter Remigius, Bishop of Kumbakonam. November 2, 1994: The South Indian Province, the first Province of Heralds of Good News inaugurated by Rt. Rev. Dr. John, Bishop of Eluru at Heralds College, Janampet, Fr. 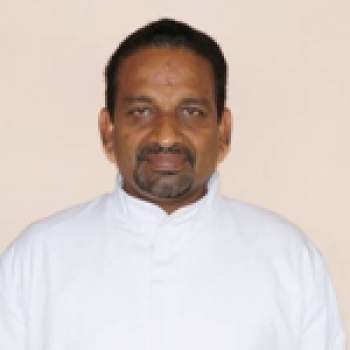 P. Thomas elected Provincial and Fr. 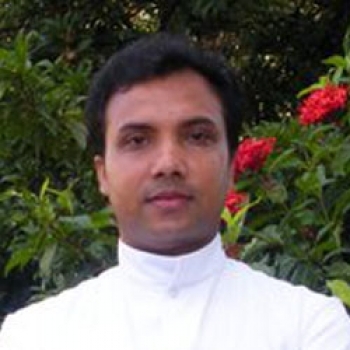 Jose Plathottam as the Assistant, Frs. Jose Ounnukallel and George Thellikalayil the councillors and Mathew Panackal the Procurator. 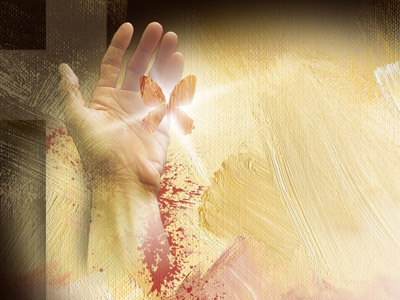 February 2, 1995: Decennium of the Society Celebrated. The Generalate at Eluru is blessed and inaugurated. September 6, 1996: Blessing and Inauguration of St. Joseph’s Major Seminary, Khammam and laying of Foundation for the theology block. October 1996: The mission at Gurzala, Guntur diocese is taken up. December 28, 2002: The blessing and inauguration of the extension blocks of St. John’s Major Seminary, Kurnool. October 16, 2003: The blessing and inauguration of the retreat centre at Nanguneri, Tamil Nadu. July 31, 2004: The Holy See approves the amended Constitutions. 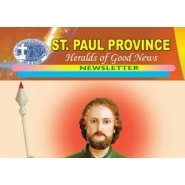 August 2008: The erection of the three provinces and the election of the Provincial Administrations: St. Paul's Province (12th - 14th August), Queen of Apostles Province (16th - 19th August), Mother Theresa Province (20th - 23rd August). August 22, 2008: Agrement with Missionaries of Compassion for the sharing of Property. January 19 - 24, 2009: The General Assembly celebrated and the new General Administration is elected. Rev. Fr. A. Francis - Superior General,Rev. Fr. 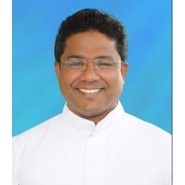 Adackamundackal Joseph (Shaji) - Assistant Superior General, Rev. Frs. Poovannikumthottiyil Joseph (Saji Sebastian), A. Charles Savarimuthu, Adattu Nixon - Councillors, Rev. Fr. Dung Dung Nirdosh -Procurator General, Rev. Fr. Pachigolla Christuraju - Secretary General. January 21-24, 2015: The General Assembly celebrated and the new General Administration is elected. Rev. Fr. M. Ignatius - Superior General,Rev. Fr. Kulathinapadickal Philip - Assistant Superior General, Rev. Frs. Kappumkal Thomas (Roy), R. Innasimuthu, Jangam Joseph - Councillors, Rev. Fr. 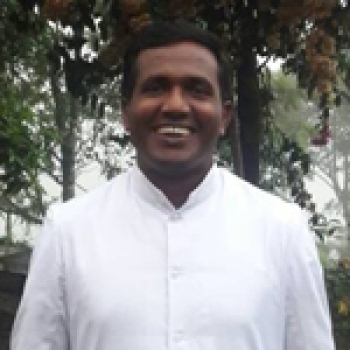 Pamplaniyil Saji - Procurator General, Rev. Fr. X. Zengol Bazil - Secretary General.